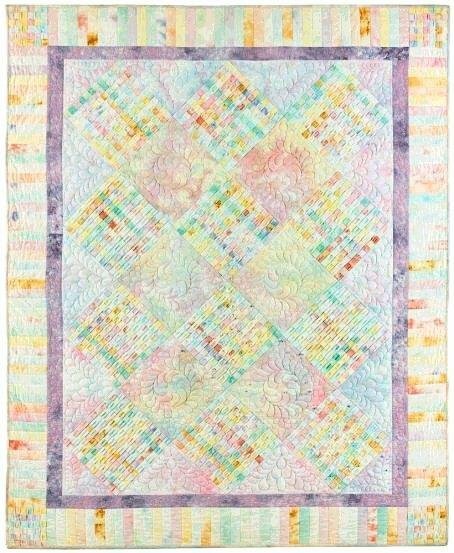 When Paula first learned to weave with strips of fabric, she couldn't wait to make a quilt using pastels hand dyed by her friend, Saundra Seth. This quilt is featured on "Simply Quilts" in episode #539. Instructions for weaving the blocks, piecing the quilt top and doing the trapunto by machine are all included in this pattern.